Match ends, Genoa 0, Bologna 1. Second Half ends, Genoa 0, Bologna 1. Attempt missed. Olivier Ntcham (Genoa) right footed shot from the right side of the box is high and wide to the right following a set piece situation. Diego Laxalt (Genoa) wins a free kick on the left wing. Second yellow card to Amadou Diawara (Bologna) for excessive celebration. Goal! 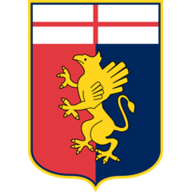 Genoa 0, Bologna 1. Luca Rossettini (Bologna) header from very close range to the top right corner. Assisted by Franco Brienza with a cross following a corner. Corner, Bologna. Conceded by Armando Izzo. Attempt blocked. Mattia Destro (Bologna) right footed shot from the centre of the box is blocked. Assisted by Luca Rossettini with a headed pass. Foul by Diego Capel (Genoa). Matteo Brighi (Bologna) wins a free kick on the right wing. Corner, Bologna. Conceded by Sebastien De Maio. Diego Capel (Genoa) wins a free kick on the right wing. Foul by Luca Rossettini (Bologna). Attempt missed. Anthony Mounier (Bologna) left footed shot from outside the box is high and wide to the left. Foul by Saphir Taïder (Bologna). Armando Izzo (Genoa) wins a free kick in the defensive half. Substitution, Genoa. Olivier Ntcham replaces Serge Gakpe. Franco Brienza (Bologna) wins a free kick in the defensive half. Corner, Genoa. Conceded by Franco Brienza. Attempt blocked. Panagiotis Tachtsidis (Genoa) left footed shot from outside the box is blocked. Delay in match Amadou Diawara (Bologna) because of an injury. Diego Perotti (Genoa) is shown the red card for violent conduct. Offside, Bologna. Luca Rossettini tries a through ball, but Anthony Mounier is caught offside. Attempt missed. Panagiotis Tachtsidis (Genoa) header from the centre of the box misses to the left. Assisted by Diego Perotti with a cross following a set piece situation. Armando Izzo (Genoa) wins a free kick on the right wing. Foul by Franco Brienza (Bologna). Foul by Alex Ferrari (Bologna). Anthony Mounier (Bologna) is shown the yellow card for a bad foul. Alex Ferrari (Bologna) wins a free kick in the defensive half. Substitution, Bologna. Ibrahima Mbaye replaces Archimede Morleo because of an injury. 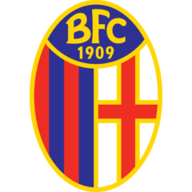 Delay in match Archimede Morleo (Bologna) because of an injury. Foul by Sebastien De Maio (Genoa). Saphir Taïder (Bologna) wins a free kick on the left wing. Offside, Bologna. Marios Oikonomou tries a through ball, but Anthony Mounier is caught offside. Offside, Genoa. Mattia Perin tries a through ball, but Armando Izzo is caught offside. Attempt blocked. Cristian Ansaldi (Genoa) right footed shot from outside the box is blocked. Corner, Genoa. Conceded by Marios Oikonomou. Attempt missed. Matteo Brighi (Bologna) right footed shot from outside the box is too high. Assisted by Saphir Taïder. Corner, Bologna. Conceded by Diego Perotti. Attempt saved. Luca Rossettini (Bologna) header from the centre of the box is saved in the bottom left corner. Assisted by Franco Brienza with a cross. Attempt missed. Serge Gakpe (Genoa) left footed shot from the centre of the box is close, but misses to the right. Assisted by Armando Izzo with a headed pass following a corner. Attempt blocked. Tomás Rincón (Genoa) left footed shot from the centre of the box is blocked. Corner, Genoa. Conceded by Luca Rossettini. Attempt saved. Nicolas Burdisso (Genoa) right footed shot from the centre of the box is saved in the centre of the goal. Assisted by Panagiotis Tachtsidis. Corner, Genoa. Conceded by Alex Ferrari. Attempt blocked. Diego Perotti (Genoa) left footed shot from the left side of the box is blocked. Assisted by Tomás Rincón with a cross. Substitution, Genoa. Diego Perotti replaces Tino Costa. Offside, Bologna. Anthony Mounier tries a through ball, but Luca Rossettini is caught offside. Corner, Genoa. Conceded by Mattia Destro. Attempt blocked. Tino Costa (Genoa) left footed shot from outside the box is blocked. Tomás Rincón (Genoa) wins a free kick in the attacking half. Diego Laxalt (Genoa) wins a free kick in the defensive half. Attempt blocked. Mattia Destro (Bologna) left footed shot from the centre of the box is blocked. Offside, Bologna. Matteo Brighi tries a through ball, but Mattia Destro is caught offside. Second Half begins Genoa 0, Bologna 0. Substitution, Bologna. Alex Ferrari replaces Daniele Gastaldello because of an injury. First Half ends, Genoa 0, Bologna 0. Attempt missed. Serge Gakpe (Genoa) left footed shot from outside the box is close, but misses to the left. Foul by Serge Gakpe (Genoa). Tomás Rincón (Genoa) wins a free kick on the right wing. Attempt missed. Sebastien De Maio (Genoa) header from very close range is too high. Assisted by Tino Costa with a cross following a corner. Corner, Genoa. Conceded by Daniele Gastaldello. Attempt saved. Sebastien De Maio (Genoa) header from the centre of the box is saved in the bottom right corner. Assisted by Tino Costa with a cross. Attempt blocked. Panagiotis Tachtsidis (Genoa) left footed shot from outside the box is blocked. Assisted by Diego Laxalt. Attempt blocked. Goran Pandev (Genoa) right footed shot from the centre of the box is blocked. Attempt saved. Goran Pandev (Genoa) right footed shot from very close range is saved in the centre of the goal. Assisted by Serge Gakpe. Attempt saved. Goran Pandev (Genoa) left footed shot from the centre of the box is saved in the centre of the goal. Assisted by Panagiotis Tachtsidis. Attempt blocked. Amadou Diawara (Bologna) right footed shot from outside the box is blocked. Substitution, Bologna. Matteo Brighi replaces Luca Rizzo because of an injury. Corner, Bologna. Conceded by Diego Laxalt. Offside, Bologna. Marios Oikonomou tries a through ball, but Mattia Destro is caught offside. Delay in match Luca Rizzo (Bologna) because of an injury. Daniele Gastaldello (Bologna) is shown the yellow card for a bad foul. Serge Gakpe (Genoa) wins a free kick in the attacking half. Cristian Ansaldi (Genoa) wins a free kick on the left wing. Offside, Bologna. Luca Rizzo tries a through ball, but Anthony Mounier is caught offside. Attempt missed. Mattia Destro (Bologna) with an attempt from the centre of the box misses to the right. Assisted by Franco Brienza with a cross following a set piece situation. Luca Rizzo (Bologna) wins a free kick on the left wing. Marios Oikonomou (Bologna) wins a free kick in the defensive half. Corner, Bologna. Conceded by Nicolas Burdisso. Attempt missed. Archimede Morleo (Bologna) left footed shot from outside the box misses to the right. Assisted by Anthony Mounier following a set piece situation. Attempt missed. Cristian Ansaldi (Genoa) left footed shot from long range on the left misses to the right. Attempt missed. Serge Gakpe (Genoa) left footed shot from the left side of the six yard box is close, but misses the top left corner. Assisted by Diego Laxalt with a cross. Attempt blocked. Armando Izzo (Genoa) left footed shot from outside the box is blocked. Assisted by Goran Pandev. Offside, Bologna. Franco Brienza tries a through ball, but Mattia Destro is caught offside. Attempt missed. Cristian Ansaldi (Genoa) left footed shot from outside the box misses to the left following a set piece situation.